Diamond brooch in the form of a rose, set in gold and silver. English, ca. 1860. Roses have many meanings depending on their color, but primarily express love. For example, tea rose symbolizes love remembered, pink rose represents secret love, and a white rose signifies innocence. 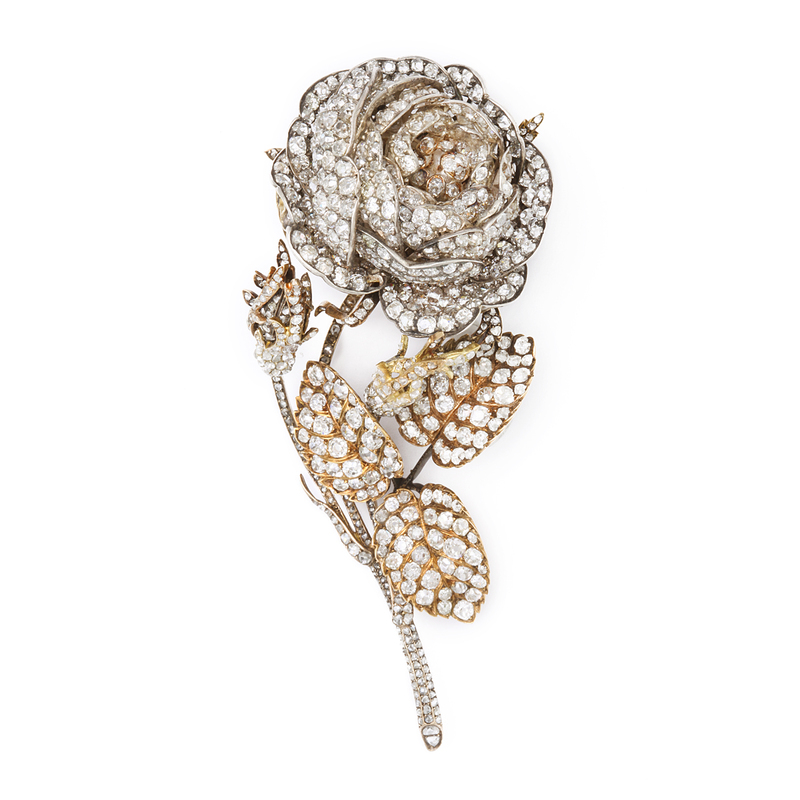 Tremblant old-mine diamond peony spray brooch mounted in silver and gold. 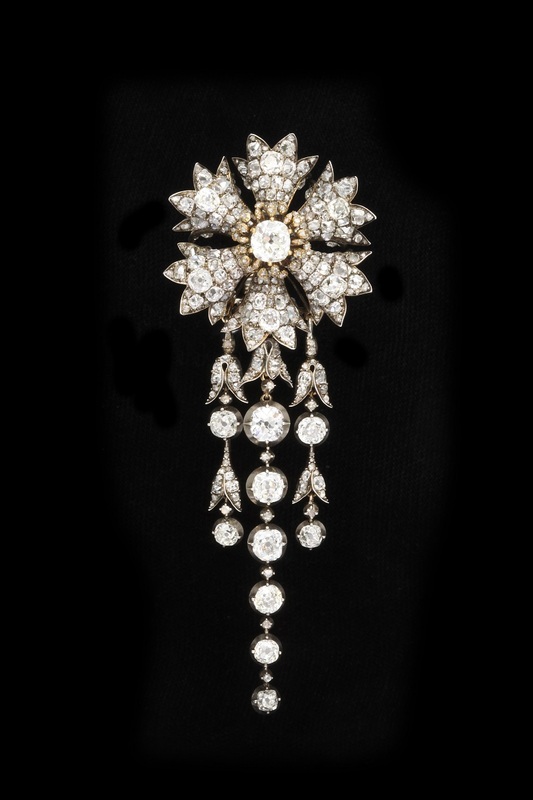 The brooch was possibly made by an English jeweler for the Russian court, circa 1860. In the language of flowers, peonies symbolize bashfulness, compassion, and happy marriages. 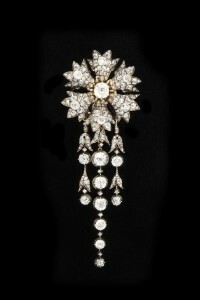 Diamond cornflower hair ornament, set en tremblant, and mounted in silver and gold. French, attributed to Oscar Massin, circa 1850. The en pempille technique, referring to the cascading stones, combined with the springs of the en tremblant setting, enhances the sense of delicacy and refinement the Victorians expressed through cornflowers in their floral language. Each of these is a unique example of how master craftsman imitated nature in jewelry. 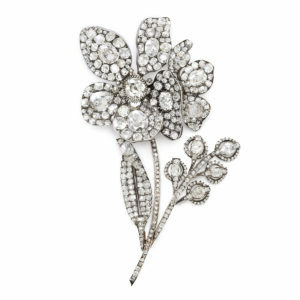 Often set en tremblant, floral-themed jewelry sprang to life, with diamonds sparkling like dew drops, creating a playful rendering of nature out of nature’s materials.